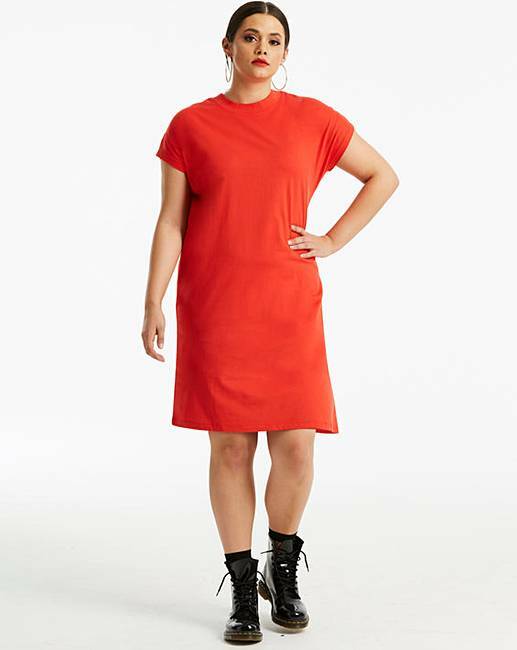 Red T-Shirt Dress is rated 5.0 out of 5 by 1. 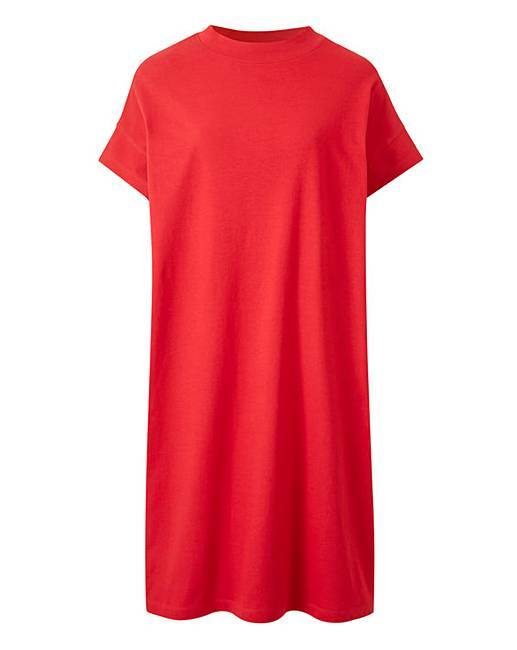 The ultimate casual wardrobe winner, the t-shirt dress has arrived. Cut to a relaxed fit, featuring a high neck and made from a soft cotton jersey fabric, this dress will ensure comfort is maximized whilst looking stylish. Team with some bold accessories to give it the finishing touch. Rated 5 out of 5 by queenp from love this I have the red and the black version and they are extremely comfortable, wash well and look very nice on. I have worn them for work and also for nights out.